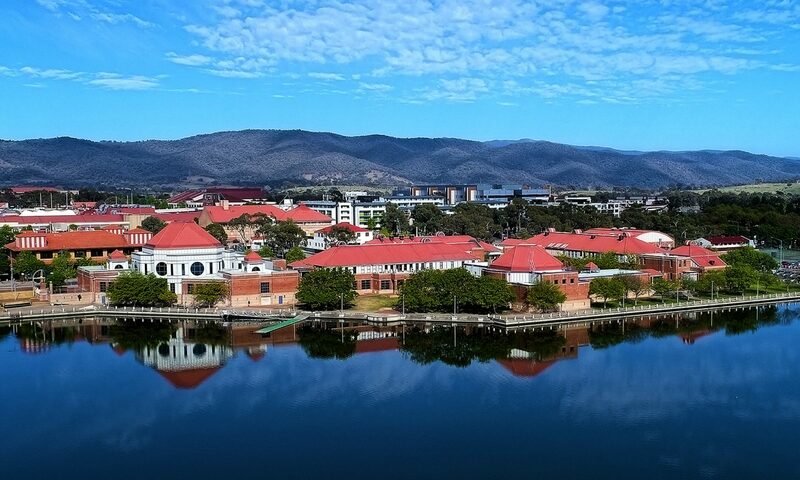 Lake Tuggeranong College (LTC) is situated 20 km south of Canberra city, the capital of Australia. It overlooks picturesque Lake Tuggeranong and has tree-lined suburbs to the east and the bustling Tuggeranong Town Centre to the west. Lake Tuggeranong College makes an immediate impression on visitors with stunning architecture, taking full advantage of the lakeside setting. Incorporated in a modern complex of tastefully finished buildings are facilities unrivalled in Australia. Teachers with subject matter specialisation and teachers who actively seek to enhance their teaching skills. Our teachers know they are making a difference to the learning of their students. They are passionate about what and how they teach. Well-resourced classrooms and learning environments. The college boasts excellent information technologies to allow students (and staff) to access ‘the world’. Specialist teaching areas are also well equipped to ensure that students experience real-world learning. Examples of this are our performing arts theatre, our technology workshops, as well as our flight simulators. A library facility shared with Libraries ACT, affording students the opportunity to learn how to learn and to research. An active student leadership presence, ensuring the voice of students is heard and is part of decision-making at the college. A range of advice and support services for students and their families. These include an excellent Careers Unit and weekly Advisory Group sessions. Student Services also assist with accessing agencies and professionals as part of navigating the final two years of schooling. Beautifully maintained buildings and grounds, helping to make students feel proud of where they learn. At Lake Tuggeranong College, we believe in the following journey – respect, contribute, learn and succeed. We practice respect in all its forms, and we ask our students to actively contribute to their learning and life at college. We expect them to work hard as part of achieving a successful Year 12 experience. Staff and our community are part of that journey. I wish all students well in their studies at Lake Tuggeranong College.